Well, here I am, 35 weeks pregnant! I can’t believe I’m here already. It seems like this pregnancy has gone by so fast. Technically, I still have 5 more weeks to go but for medical reasons, I am going to have this baby early (I won't bore you with the details). I'll get to meet my baby girl as little as two weeks from now. We are beyond thrilled and cannot wait to welcome baby Madelyn into our home! I have a list of things/projects to do before the baby arrives. My husband finalizes his travel schedule for work so that he can stay home for an extended period of time. I plan to make some last minute shopping this week for the baby. On top of that, we're still working on little projects here and there for the nursery. I am happy to say that things are starting to come together. Anyway, here are some of my latest purchases for the baby. I've always wanted to nurse my baby but couldn't do it with my first one. This time, I am determined to try again. 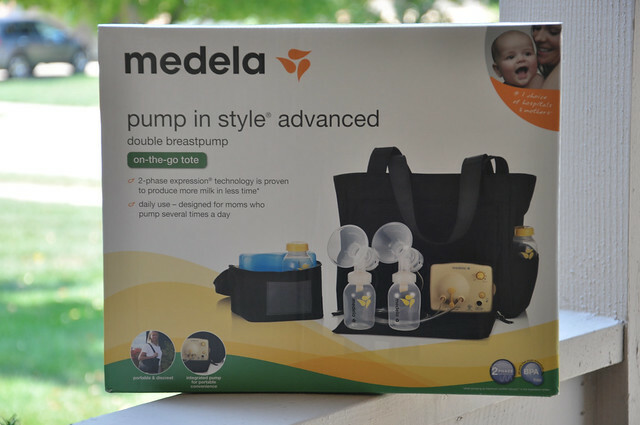 After doing extensive research online, I decided to purchase the Medela Pump-in-Style Advanced On-the-go Tote. I am not the stay-at-home mom type and I don't plan to be one. I have looked into several options and the on-the-go tote seems like a good choice for working mothers. I'm keeping my fingers crossed that this pump will be put to good use. 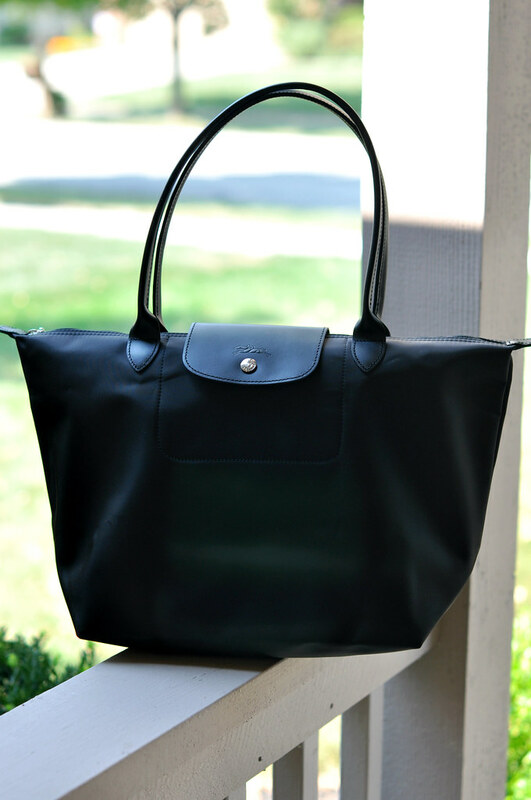 I bought the Longchamp Planetes large tote last week and plan to use it as a diaper bag. I just can't see myself carrying a traditional diaper bag. I was debating between 2 sizes but decided to go with the large one. There are so many things that I love about this bag. It's lightweight but extremely durable. It's also waterproof and the material is so easy to clean. It has everything that I am looking for in a diaper bag. If you plan to use this bag as a diaper bag, an organizer is a must. A purse organizer makes it so easy to look for stuff and also gives the bag a little more structure. 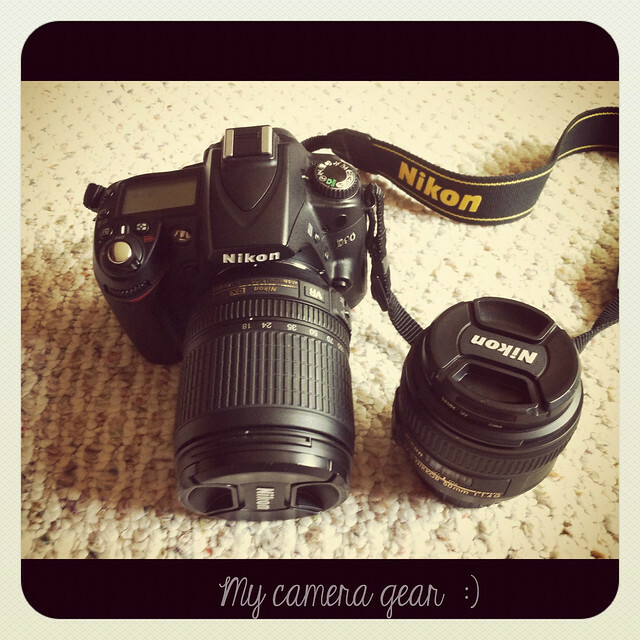 I used the Nikon 50mm 1.8 lens for most of my blog photos. 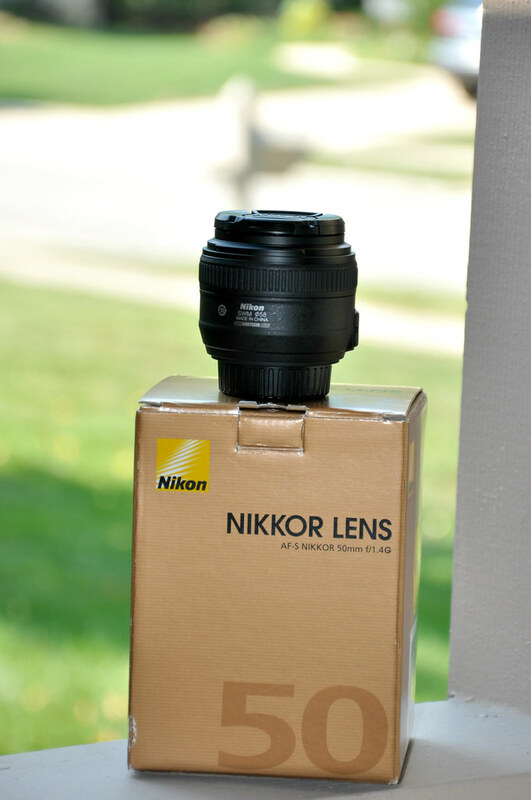 Since I found out I was pregnant, I wanted to upgrade to a better prime lens. My dream lens would be the Nikon 85mm f1.4G but I am not ready to spend over 1K on a lens yet. I spent weeks researching online and ended up with the Nikon 50mm 1.4G. It seems like one of the best options for a professional-grade lens. It's great for those who need a high quality lens for everyday photography. You can read all about this lens here. I haven't had time to play with it yet but am very anxious to do so. I know my next shoot will be of my little Madelyn! Readers, do you own any of these items? If so, what are your thoughts? i'm excited for you! madelyn is such a beautiful name. your daughter will have an adorable baby sister - this is going to be a wildly fashionable house :) i'm so happy you upgraded to a prime lens! they're the best for photographing people. and good luck *fingers crossed* - can't wait to see you on the other side! wow, you are almost there! I'm super excited for you! All the very best for the coming few weeks! !BTW, love that tote, a stylish diaper bag I must say! Thanks a bunch for stopping by and commenting, Sydney! That bag is so beautiful. Hope your rest of pregnancy goes well. Cannot wait to see your Madelyn soon. I love how things come together as the time for delivery gets closer! I used madela when I had my baby and was more than happy about it. Cant wait to meet your little girl! LOL. I have that breast pump. Super useful. I have the same lens except it's a Canon. I use it on all my photos and it the best investment, I can see the huge differences on all my photos with the new lens. I still cant believe you already 35 weeks!!!! cant wait to see new photos of your lil baby! I have an older version of that pump and used it with V. He had issues with nursing so I used it everyday (many times a day) for 9 months - and it still works great! I'm so excited for you and your family! Madelyn will be here soon! i been wanting a longchamp bag too for work. i carry so much stuff and hoping to get something big like that to throw everything in there. still deciding if i want that or something more structured? the lens looks fancy!! can't wait to see your photos using new lens. please let us know how you like it. Sydney- I have the same pump and used it with my first baby. I have heard from many moms (working and stay-at-home) it is the best one to get. It is easy to use and will be perfect, as long as your workplace offers a comfortable place to pump. I admire you for wanting to nurse this time! It was a life-saver for me because my daughter would not nurse well in the very beginning. I will be having my baby boy in a few short weeks (I'm at 34 weeks today, right behind you!) so I am hoping for a better nursing experience. Good luck with everything. Can't wait to see pics of your sweet Madelyn! Ahhh 35 weeks, you're so close! I bought a Medela pump too for my first baby. It came in a backpack, which makes it easy to carry. Not that I carried it anywhere because at the time, pumping at work wasn't going to work for me. I ended up only pumping for 3 mos because it wa just too hard/time-consuming. Hope you fare better than me! While I was pumping, I did lots of reading about it. First, get the right size "cones" so that it makes a good suction. Too big and you won't get enough pumping and too small will hurt you after a while. Fortunately, you can find different sizes at Babies R Us and online. Second, I pumped right into 2oz plastic containers so that they could go straight into fridge/freezer. The 4oz bottles can be saved for later. Third, pumping may not be as fruitful the 1st time because you are finding a rhythm with the pump. Don't be discouraged and keep at it! At most, I was pumping 3oz from each side. Some lucky women can pump up to 5oz each side. Dang. Anyways, sorry about the long comment. LOVE the Longchamp (need me one of those) and have fun with the new lens! I used the PIS for my first child since I worked FT when he was little. It's the best. A friend of mine got the cool nursing bra (that holds the cones) and it is fantastic. I wish I'd bought it when I was pumping, let's you be "hands free". A few things I did use and would recommend are: Medela has this microwave bag sterilizer. It's great for when you pump more than once in the office. You just take the parts, add water and nuke in the microwave. (one note, don't forget it! Can't tell you how many times I found my nuked bag on my desk after forgetting it in the kitchenette at work, lol). The other one is these new ziplock nursing bags (I think by Medela or Linsenoh (sp?). They fit in the pump so you can pump directly into the zippy bags instead of worrying about transferring and spilling. Hope you have a fantastically easy birth too. Love your blog. how many times are you pumping at work? how many bottles do you take with you to work and how many do you leave at home for baby to feed? I am going back to work in a week and wondering how many bottles I need.